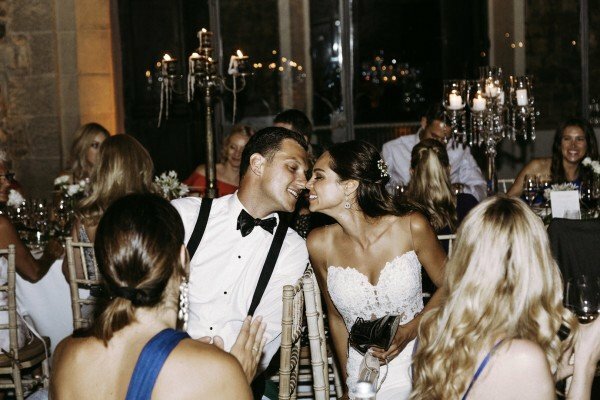 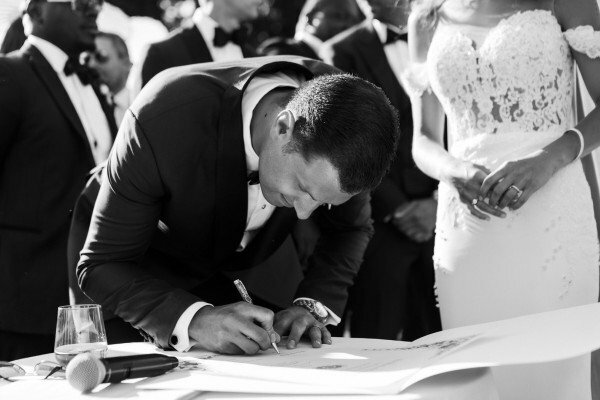 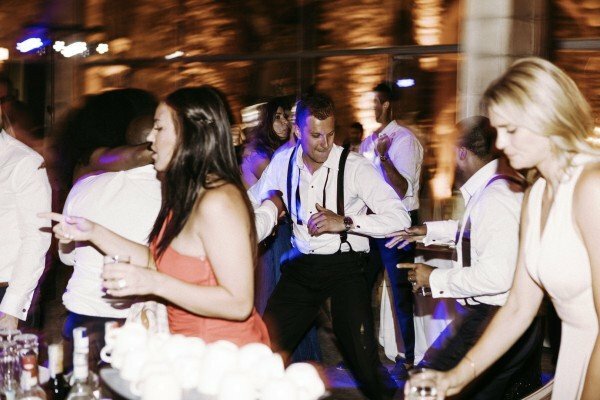 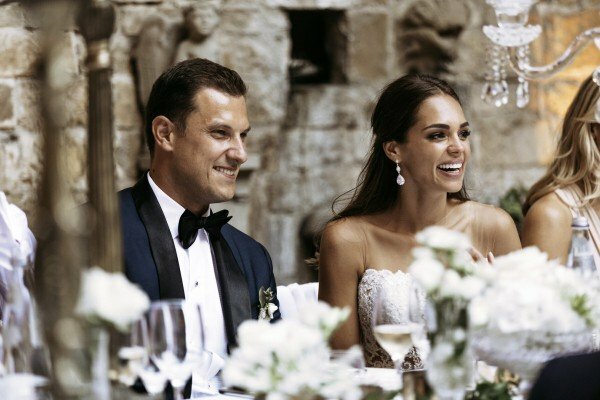 Danielle and Dan’s wedding was truly a global affair. 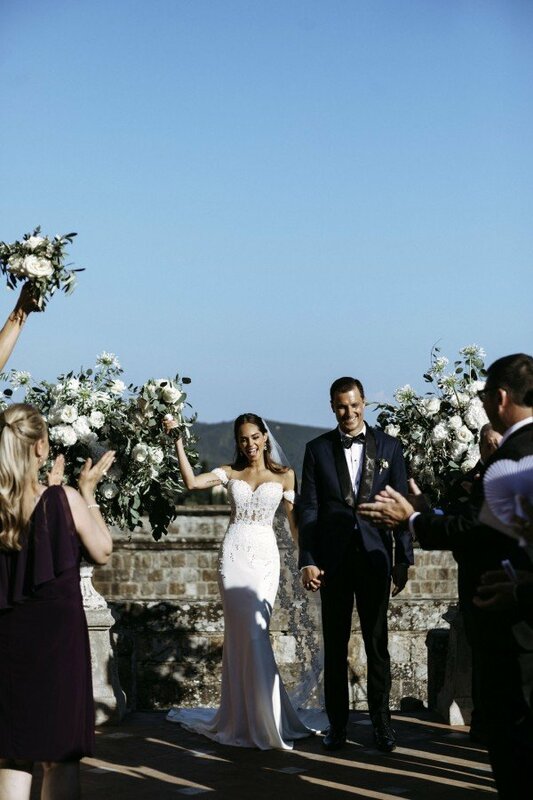 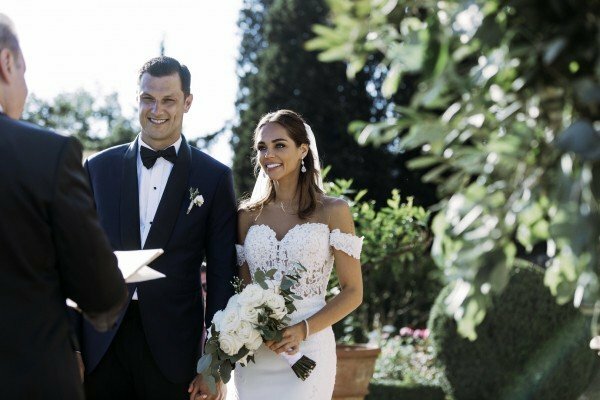 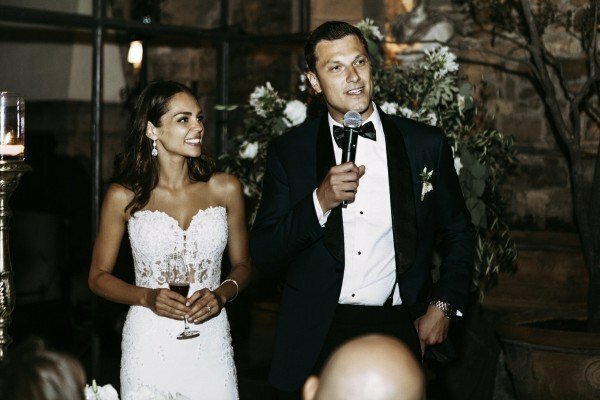 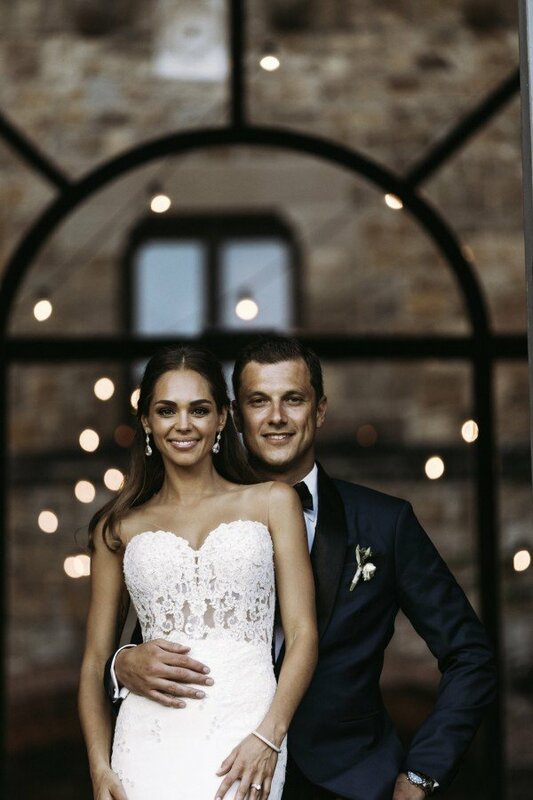 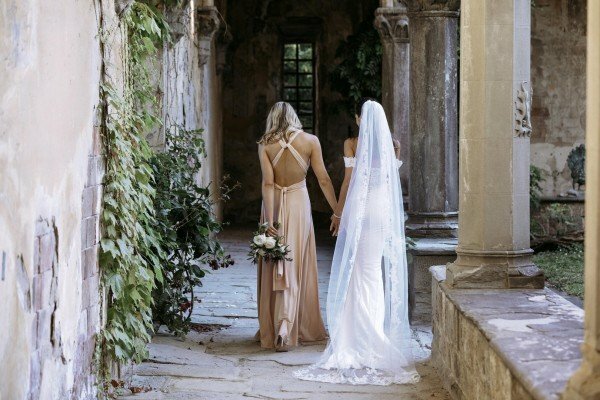 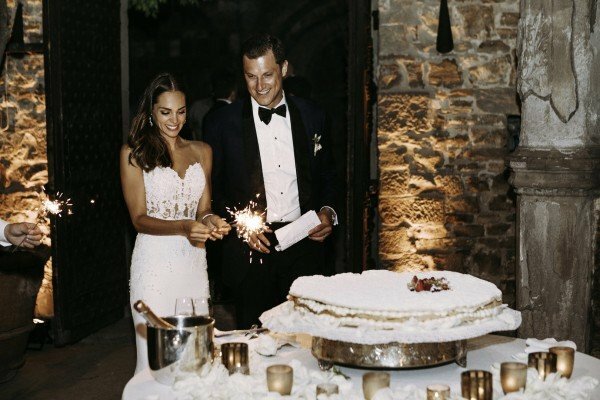 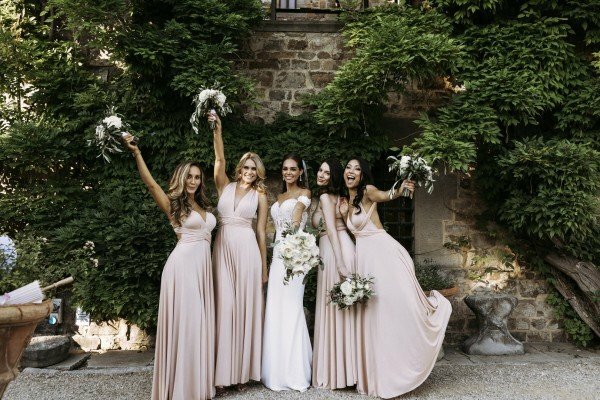 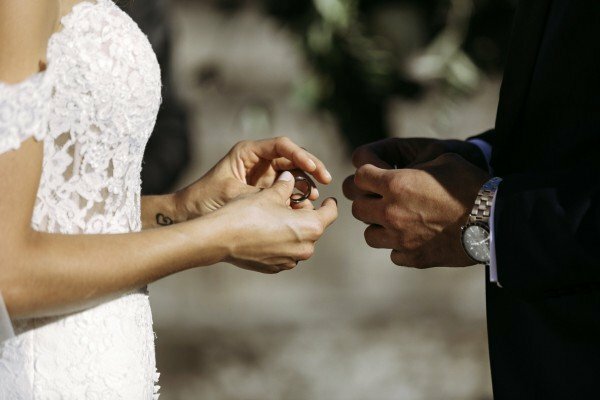 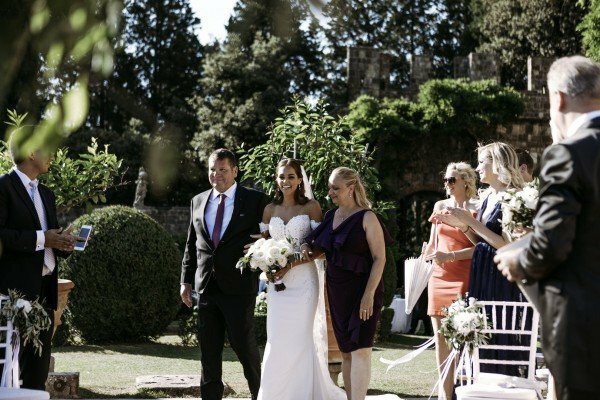 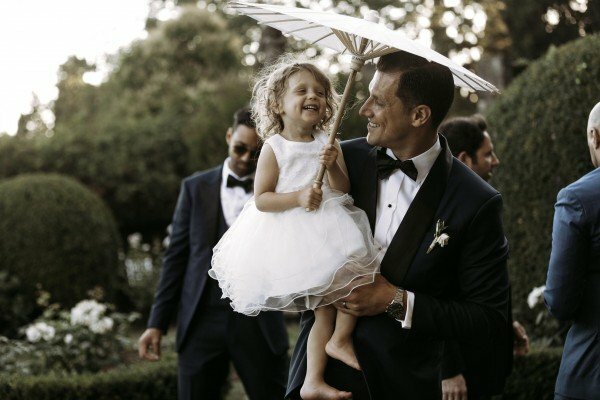 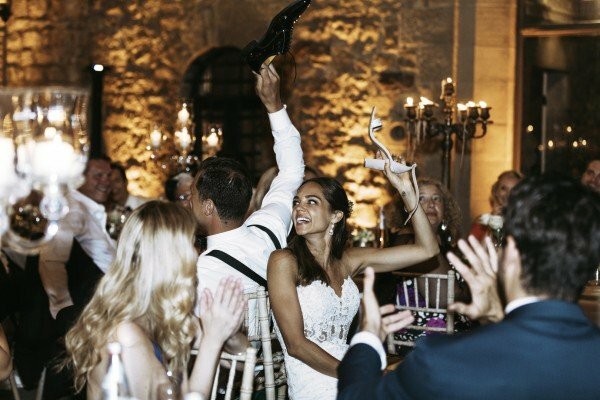 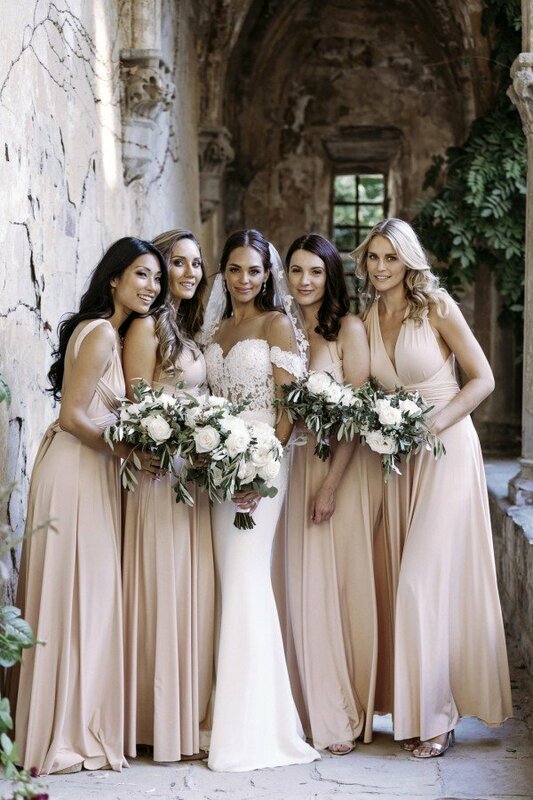 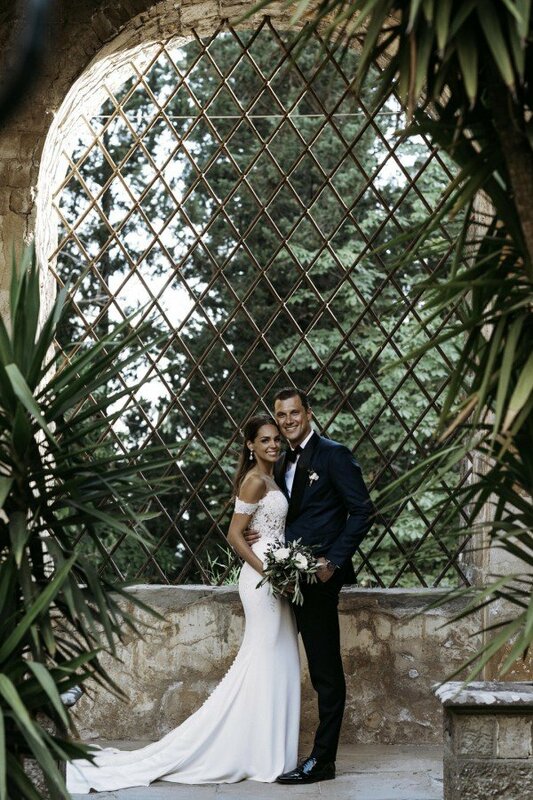 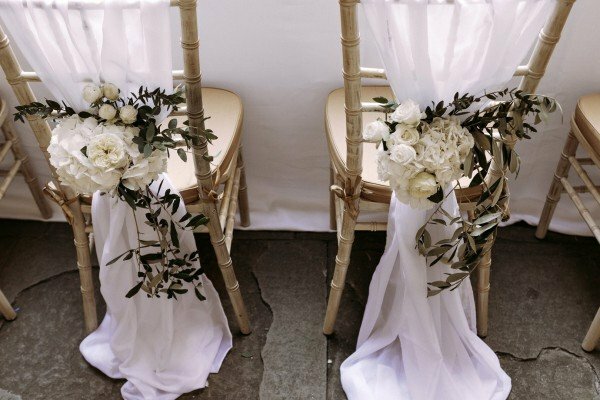 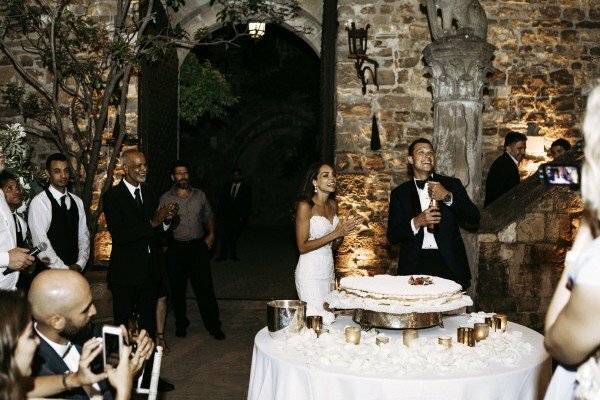 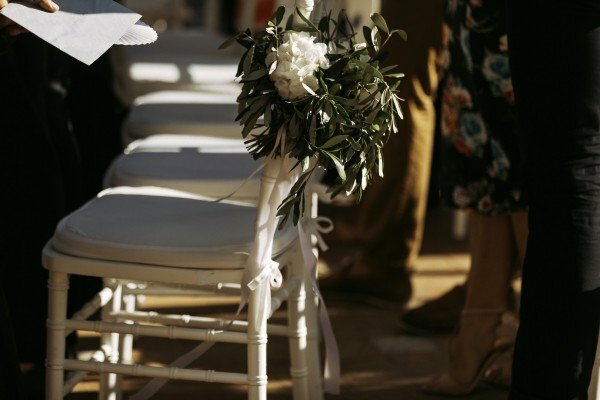 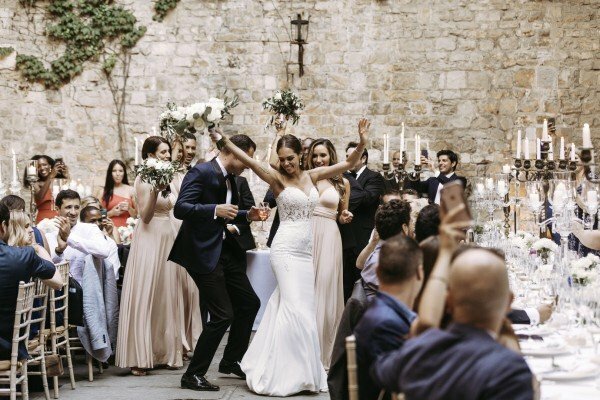 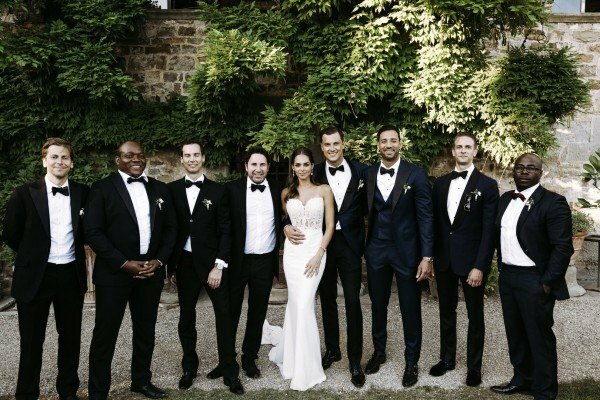 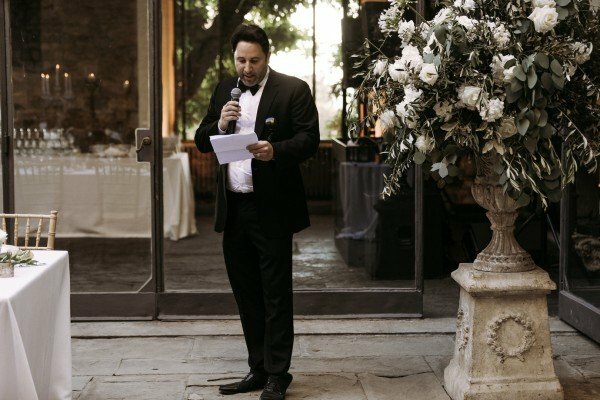 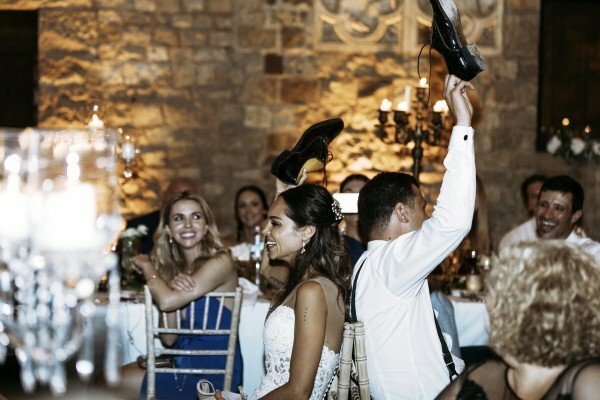 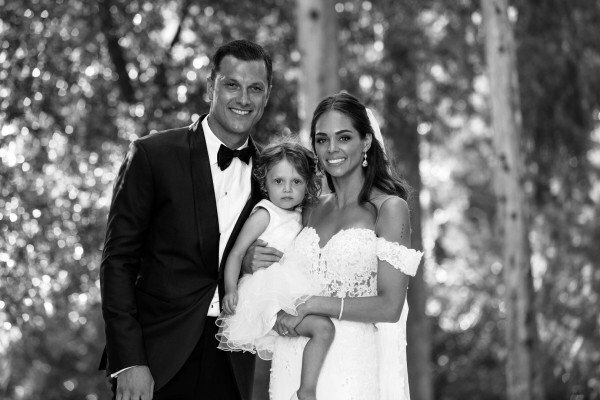 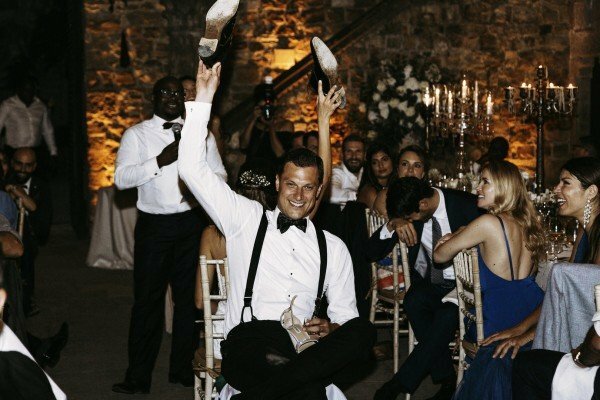 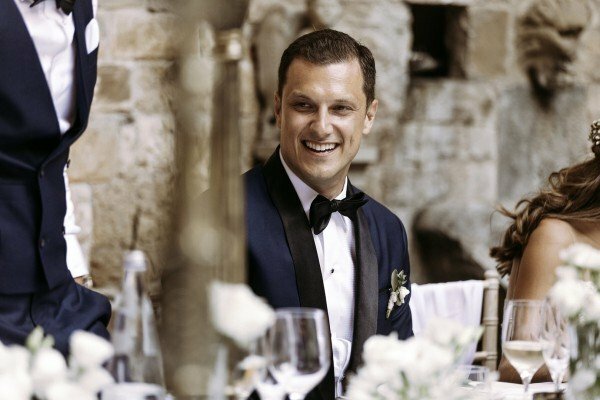 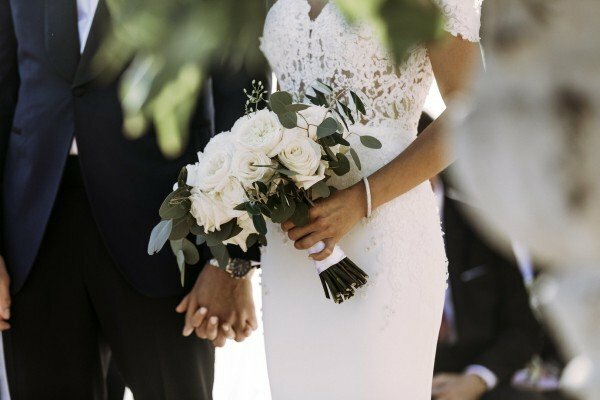 The couple decided to say “I Do” in Tuscany, and their guests and relatives flew in from all over: Canada, Australia, Japan, the U.K., Africa, Europe, and of course, the U.S. 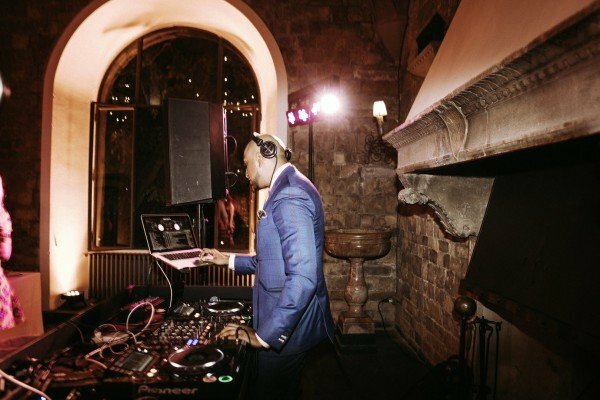 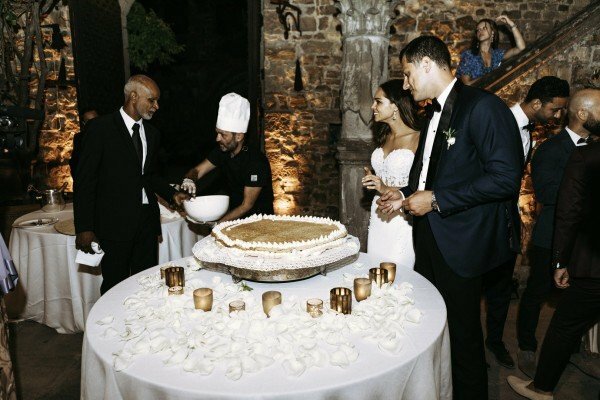 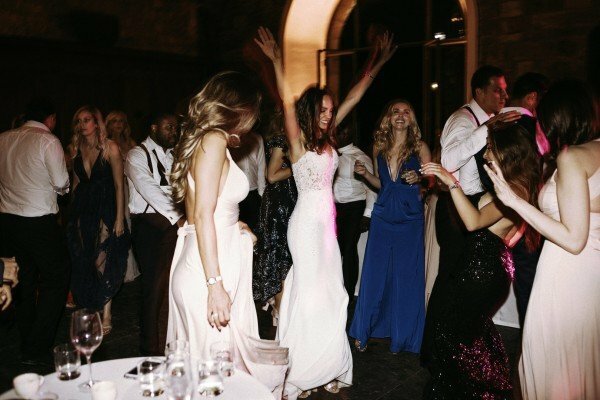 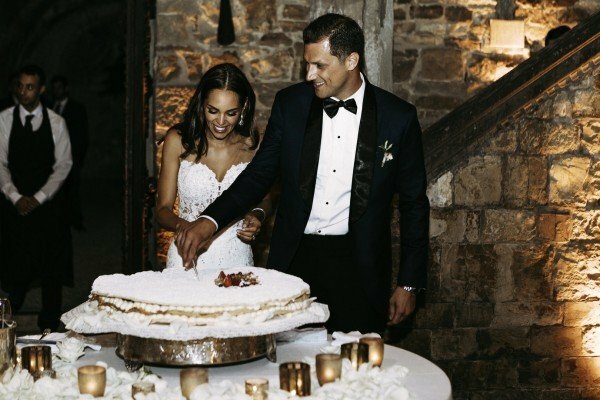 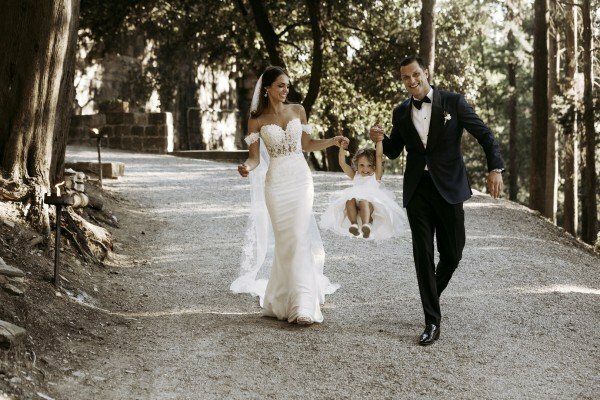 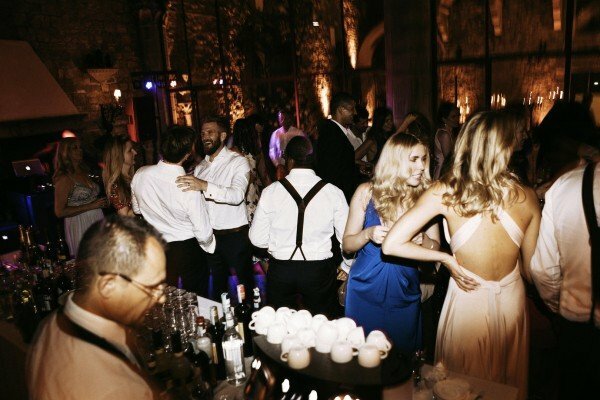 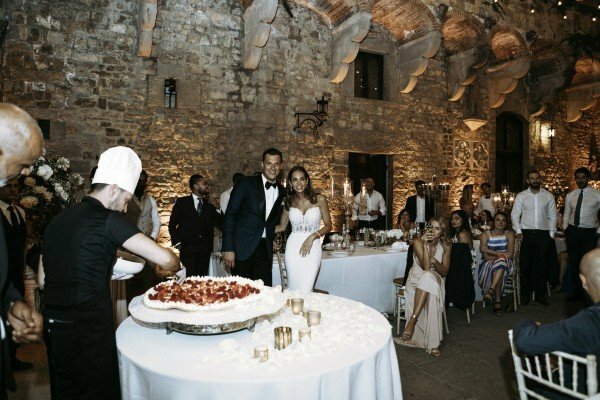 The couple’s guests started the celebration by gathering in Florence, where they had a festive pizza party at the hotel Villa Fiesole. 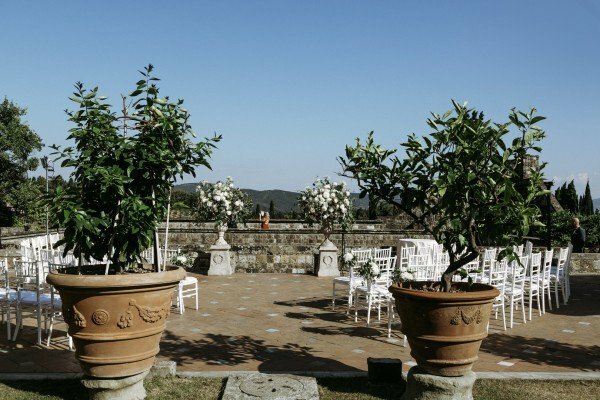 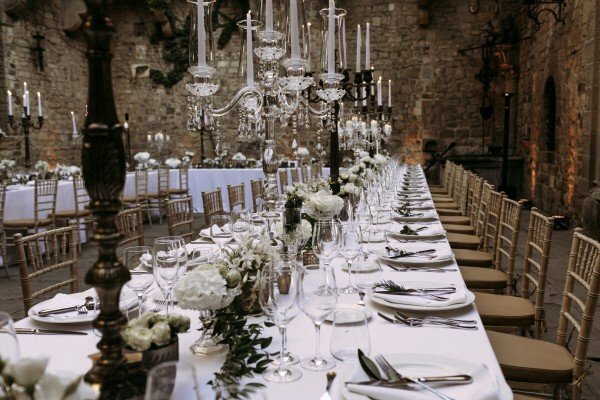 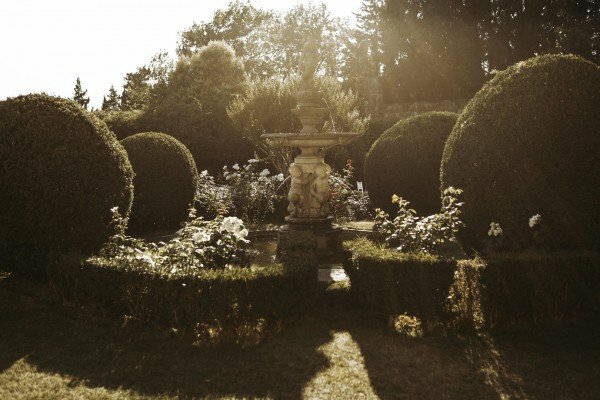 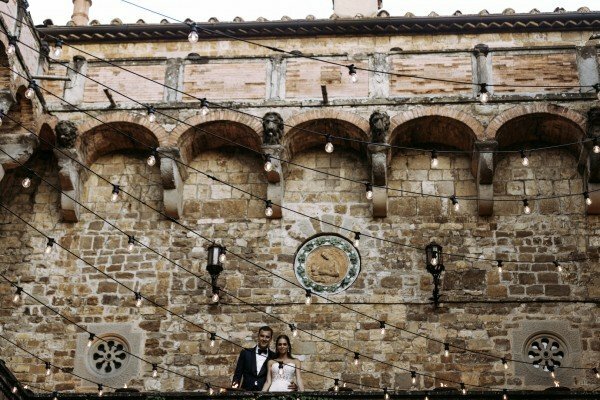 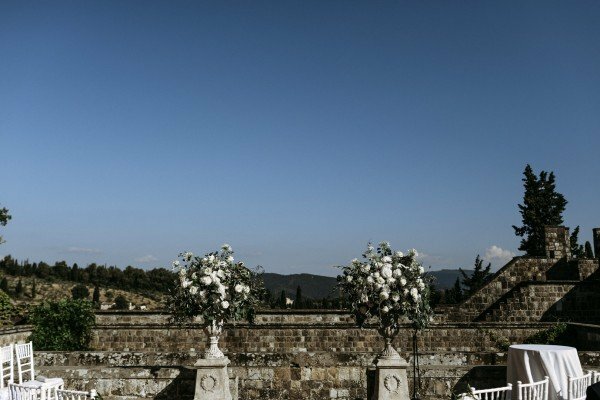 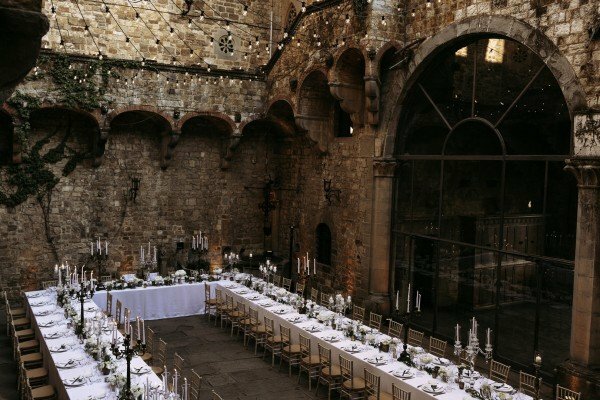 The festivities culminated in the wedding ceremony and celebration at the famous Vincigliata Castle, the only castle near Florence which operates as an event venue. 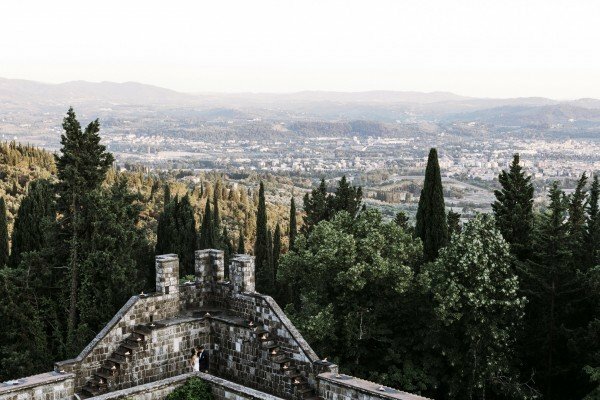 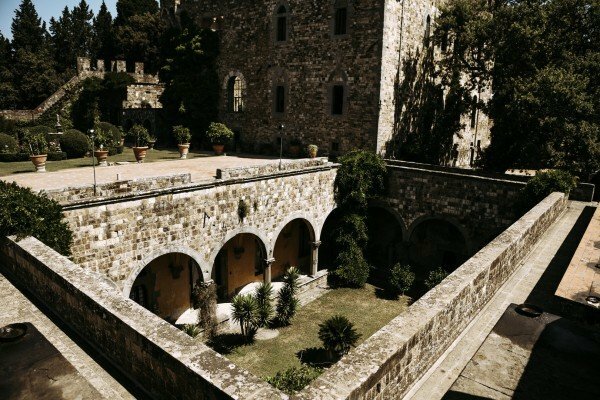 The castle is located on top of a Tuscan hill in Fiesole and offers breathtaking views of Florence and its surroundings. 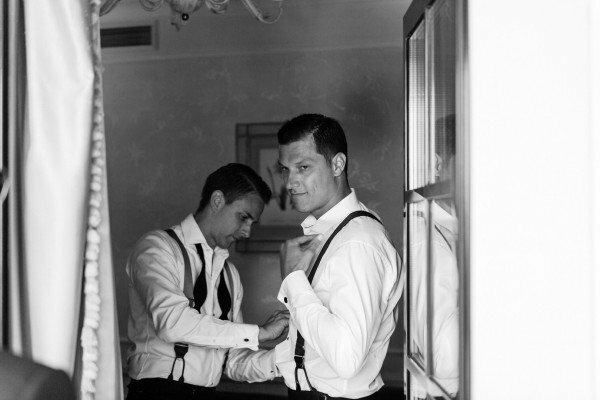 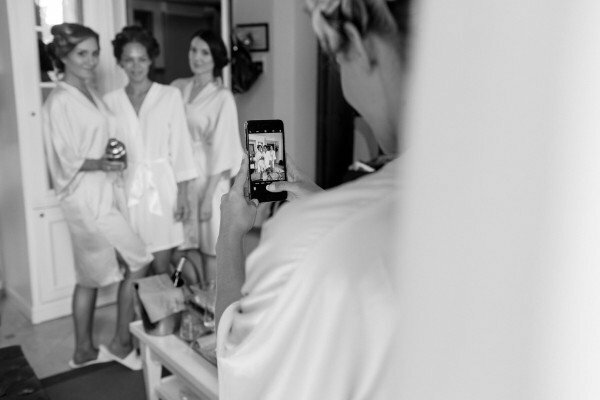 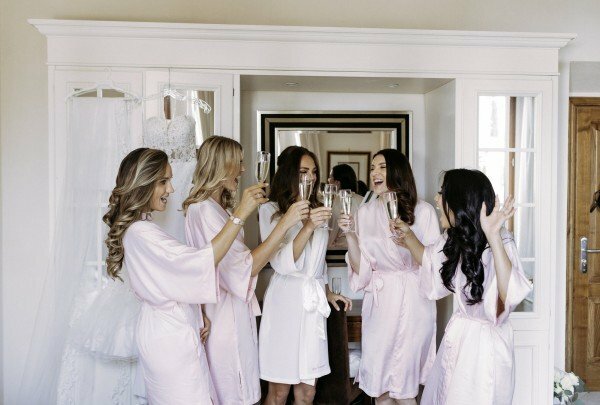 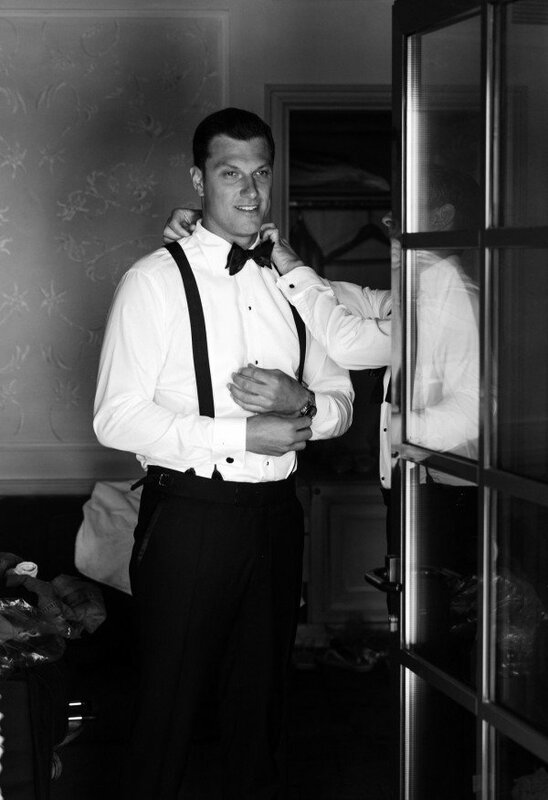 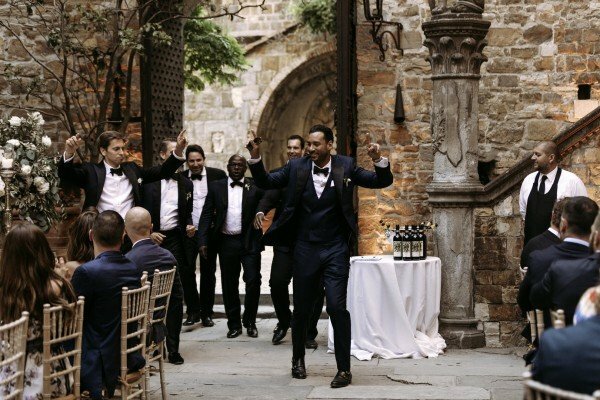 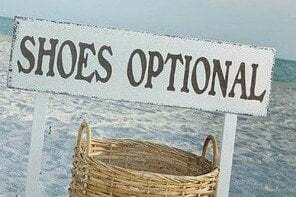 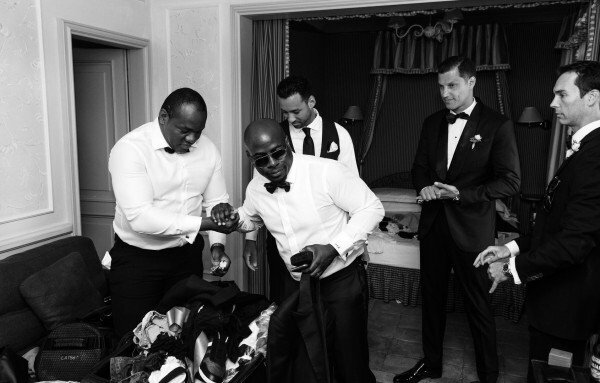 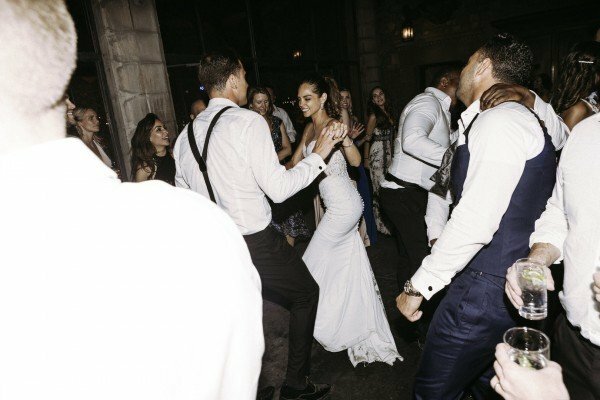 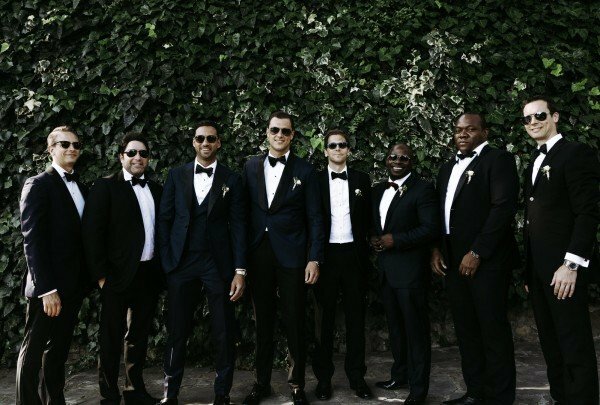 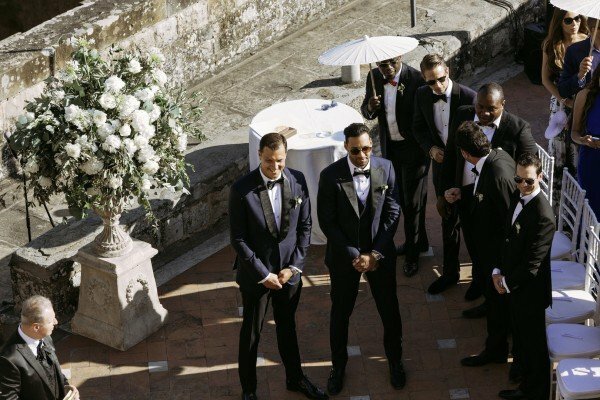 The big day started with preparations: the groomsmen treated themselves to beer, while the ladies got ready with champagne — and with the help of celebrity stylist Cherie Spisso. 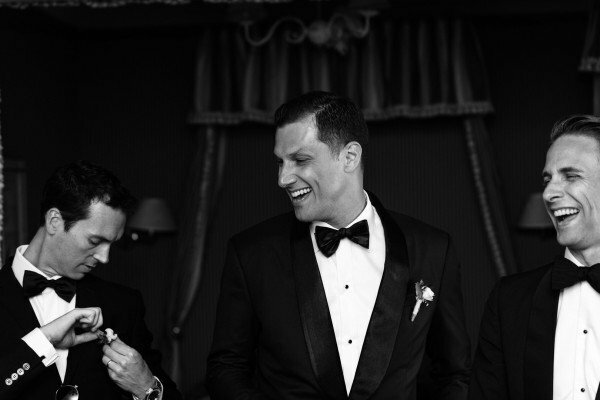 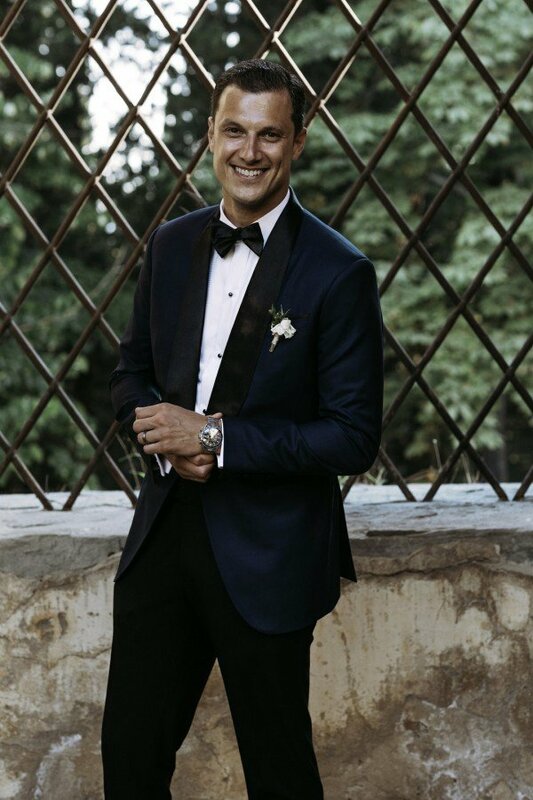 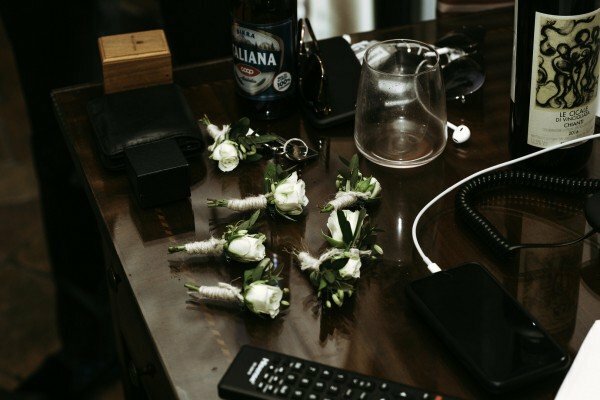 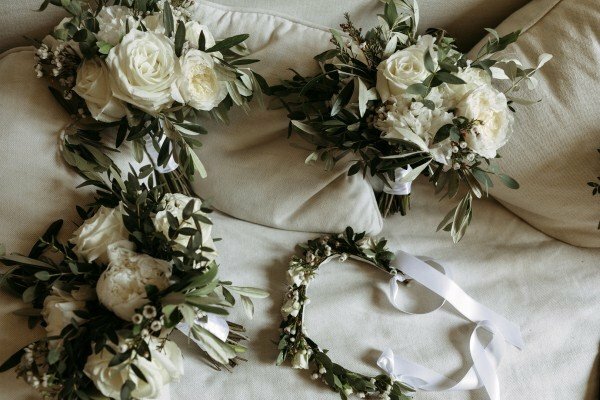 When the time came, Federico, the floral designer for the wedding from Lilla Floral Design, delivered bouquets for the ladies, a floral crown for Lily, and boutonnières for the groomsmen. 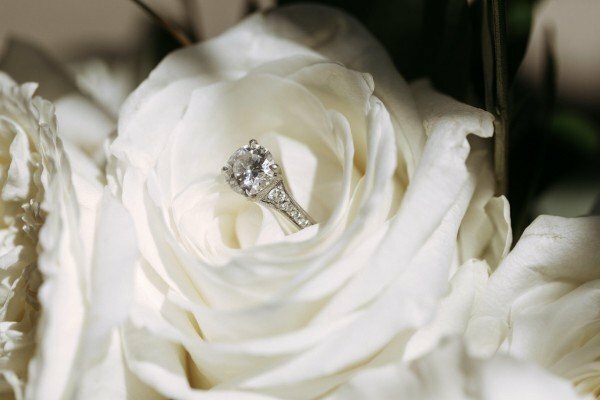 Captured by Anna Fowler Photography, the day turned out to be perfect: a few clouds helped to hide the sun and there was a light breeze. 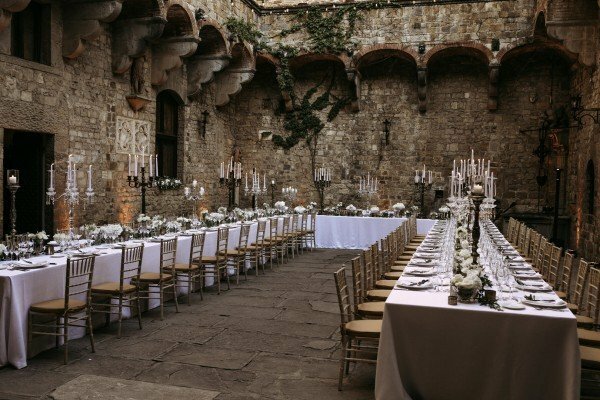 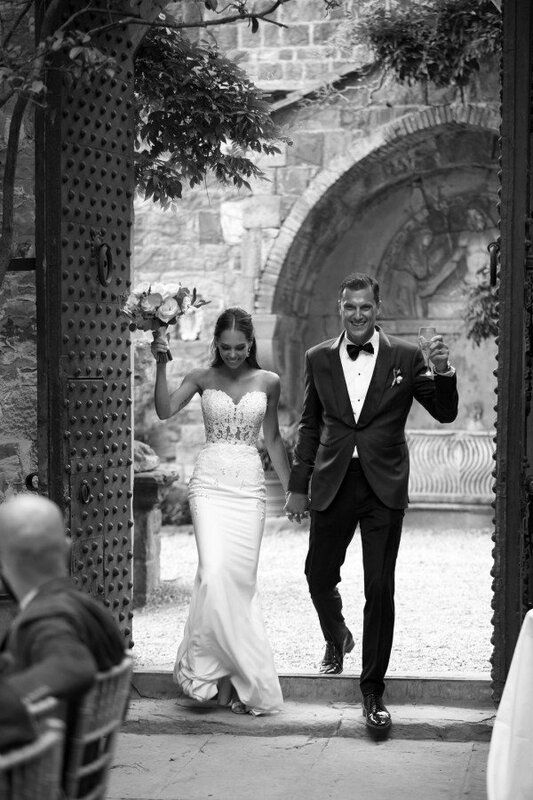 On arrival to the ceremony, guests were able to admire the grounds, the castle’s various courts and impressive walls, as well as a picturesque fountain and sculptures. 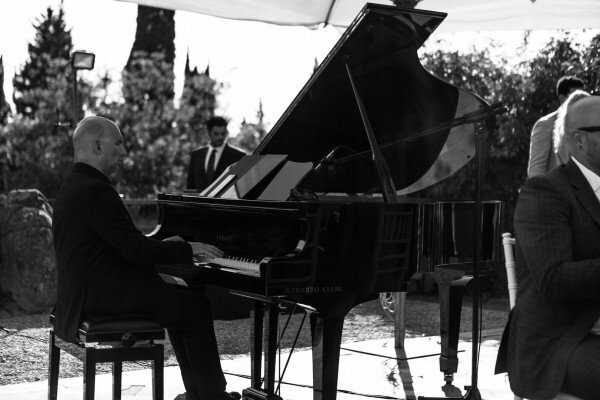 The pianist was playing light jazz music. 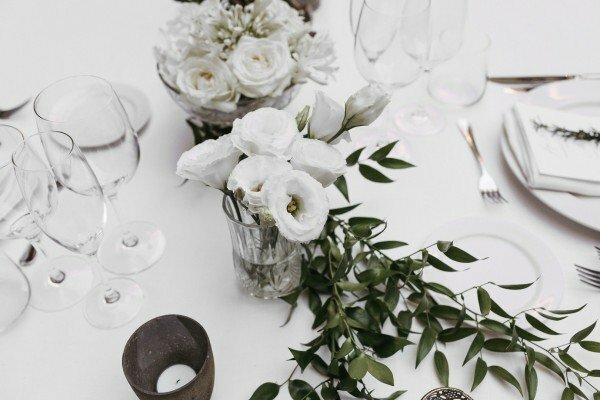 The flowers were dispersing light fragrances. 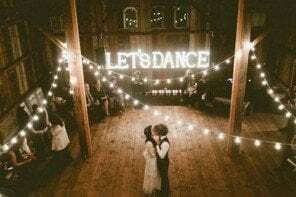 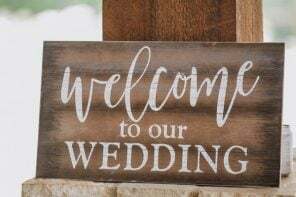 But soon everyone was invited to take their seats, the officiant shook hands with the groom, the wedding party took their seats, and the musician started playing the melody by Einaudi, selected by the couple for the bride’s entrance. 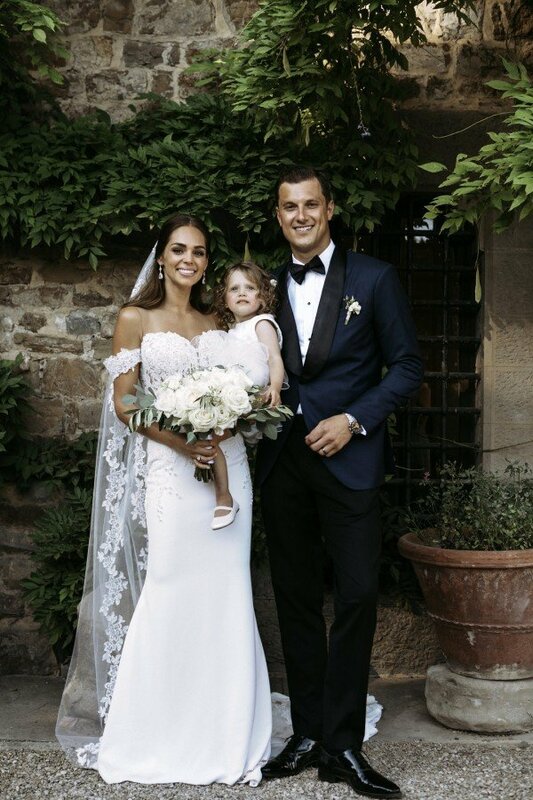 Soon she arrived — wearing a Pronovias couture dress with a cathedral veil — alongside her parents. 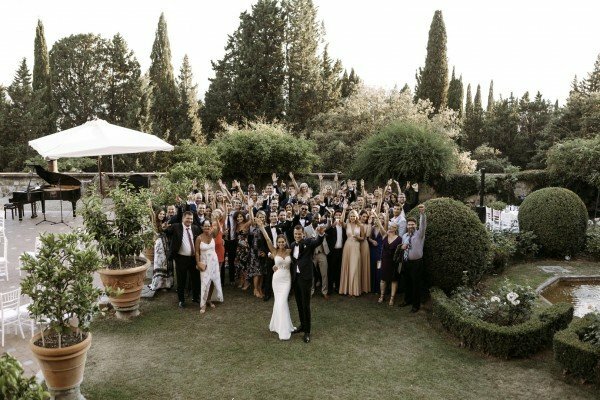 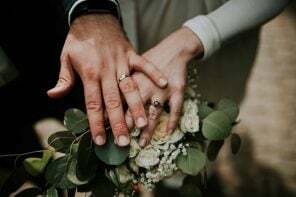 The celebrant Giuseppe Rossi conducted a touching ceremony, the couple exchanged vows and rings, and 30 minutes later the excited crowd applauded the newlyweds! 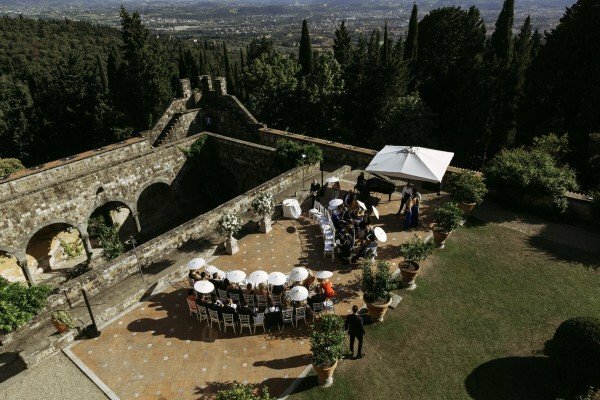 A festive cocktail reception followed immediately in the garden, with plenty of Prosecco and Aperol Spritz, typical Tuscan weddings drinks. 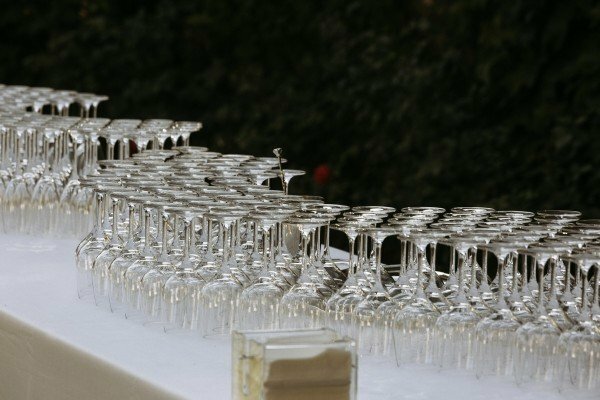 The amuse-bouches were delicious, the cheese and cold cut displays were a huge success, the guests enjoyed a warm summer evening and each other’s company. 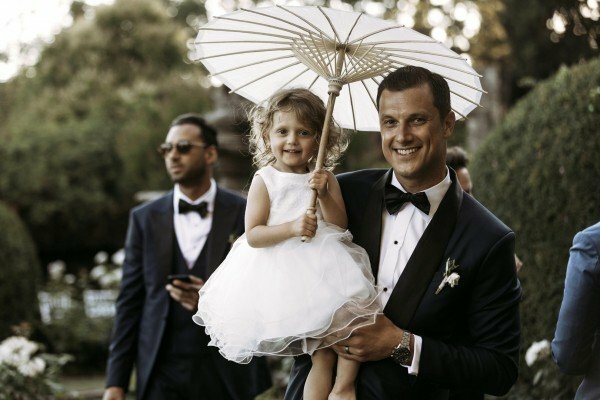 The couple greeted everyone, kissed their adorable daughter Lily, who was very well-behaved, and went for a tour of picture-taking. 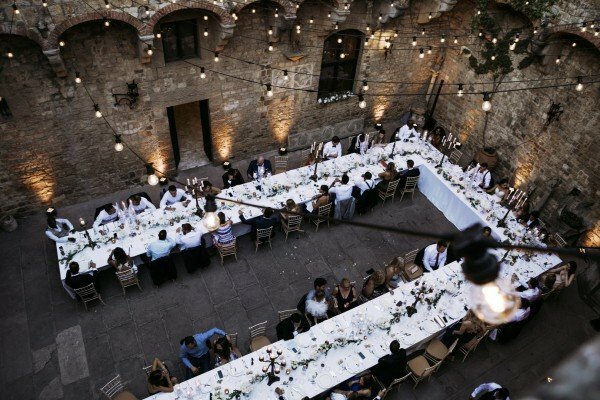 An hour and a half later, everyone was invited to the internal court where the dinner was waiting on long rectangular banquet tables. 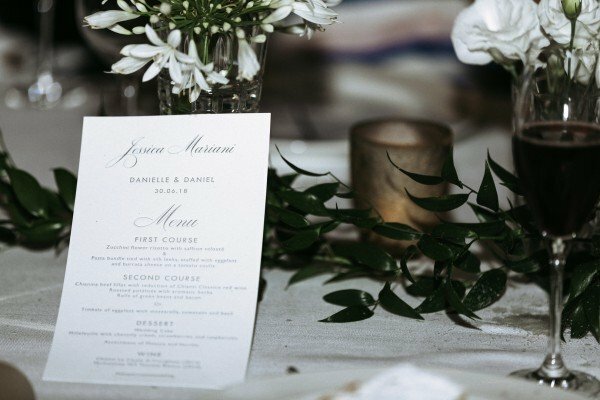 Federico worked on the florals and overall design with Danielle and they came up with a white/off-white/green and gold palette. 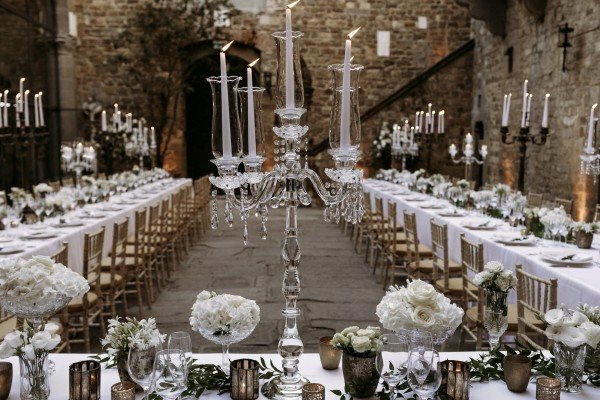 The tables were decorated with crystal and bronze candelabras, greenery, and a multitude of small candles and vases. 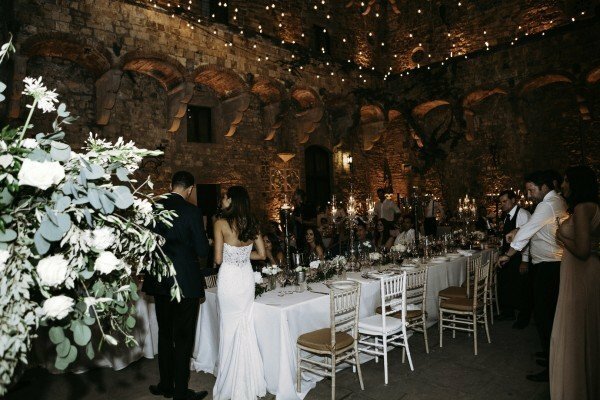 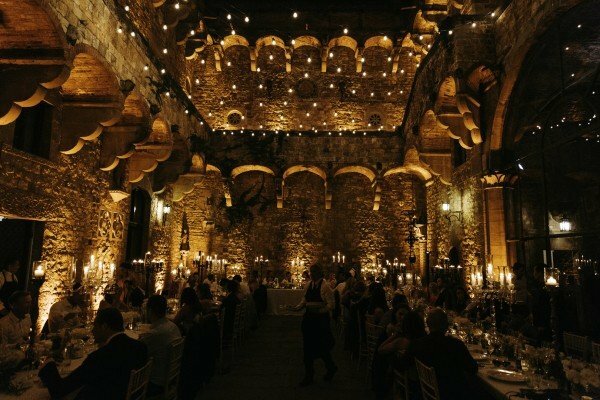 In addition, multiple strings of bistro lights were installed across the court, and torches were lit along the castle’s walls for the dinner. 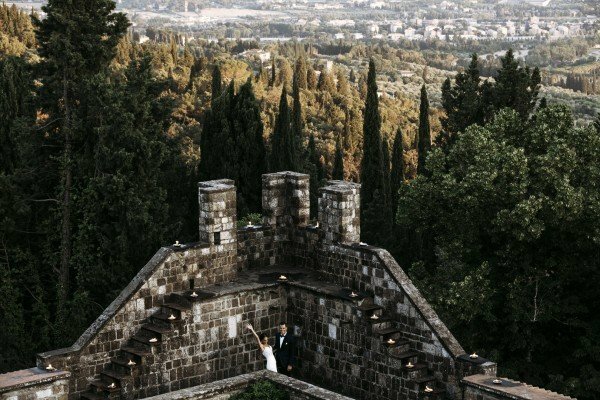 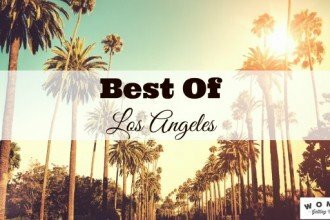 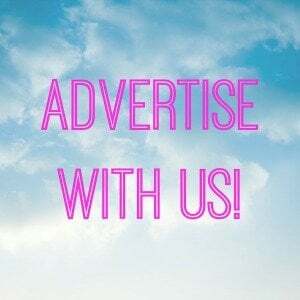 See the beautiful photos below!